One research team is going with the flow and against the grain by searching out genes that regulate the transport and flow of nutrients within the rice plant and into storage in its edible grain. Discoveries could help improve the relatively poor nutritional value of the grain, a factor that explains how more than half the world's people suffer from some form of nutrient deficiency, according to the World Health Organization. 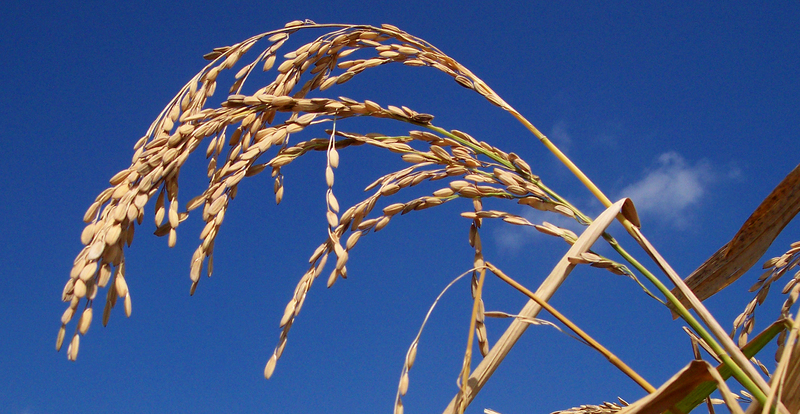 "Identifying genes involved in the nutrient-loading of the rice grain could allow engineers or breeders to develop new strains of rice with higher nutrient levels," said research team leader and Purdue University horticulture professor David Salt. "This could have a major impact on human health since many of the 3 billion people with nutrient deficiencies rely on rice as their main food source." Salt and his team will use a combination of techniques and processes to hone in on genes that govern the rice grain ionome, or all of the plant grain's mineral nutrients and ions, or tiny charged particles. The researchers will examine genes that regulate levels of elements both healthful and harmful. Micronutrients essential to human health, like iron and zinc, will be a particular focus since billions of people suffer from iron or zinc deficiency. Initial steps in the study, which was recently funded by a $5.5 million, four-year grant from the National Science Foundation, are designed to find so-called "candidate genes" worthy of further investigation, Salt said. To this end, researchers will analyze concentrations of 18 different elements in 1,800 varieties of rice from around the world and also will scour Salt's existing database of genetic and ionic data from thousands of plant and yeast samples. Immediate insights could help improve scientists' understanding of the rice plant, Oryza sativa, and, by extension, could shed light into the biochemistry of other crops in the grass family, including maize, barley and wheat. Another important goal is to better understand Oryza's ability to take up harmful chemicals like cadmium and arsenic, Salt said. Contaminated soil and water make arsenic poisoning a major concern in Southeastern Asia, particularly in Bangladesh, he said. Researchers will use DNA microarrays to help find genes responsible for differences in observed phenotypes, or physical properties, like high iron concentrations. Salt said they will study both naturally occurring and mutant rice varieties. Since plants are immobile, they must make the most of their environment, and their ability to survive and thrive is therefore tied to their ability to take up the right chemicals, usually in ionic form, from the soil. Plants also must be able to store chemicals for their own health and the health of their offspring. Data from the study will be continually added to the Purdue Ionomics Information Management System database, accessible online at https://www.purdue.edu/dp/ionomics. Salt will collaborate with researchers Mary Lou Guerinot of Dartmouth College and Shannon Pinson of Texas A&M University. Others involved in the research are Purdue's Ivan Baxter and Min Zhang and Lee Tarpley of Texas A&M.